I'm a novice. Please, help. I have XMEGA A1U Xplained pro and expansion board Ethernet1 Xpained pro (ksz8851snl). But I do not understand how to work with the expansion board? I would start with the data sheet for the ksz8851snl. It can be found at http://ww1.microchip.com/downloa... I would also check to see whether or not there are Arduino examples. If there are, those examples should show you how to do various things, even if you do not directly use the code. By the way, XMega chips are relatively complex for an 8 bit micro. They are not a particularly easy way for a beginner to start. 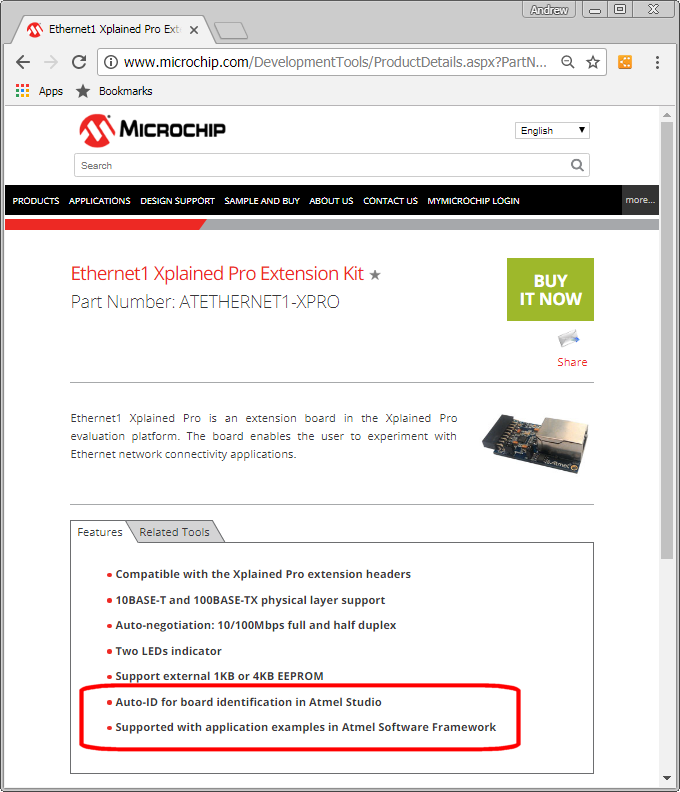 Have you followed the instructions in the user manual for the ethernet board? Surely, when you plug it into the PC, Atmel Studio recognises it (both the XMEGA A1U Xplained pro and the Ethernet1 Xpained pro) - and you get the full list of available examples ? Unfortunately, this does not happen. Atmel discovers the board, but the module sees but can not recognize. And so I do not have one. The module is working. What, exactly, "does not happen" ? the module sees but can not recognize. Sorry, what do you mean by that? Which "one" are you referring to here? and which "module" are you referring to here? How have you verified that it is "working" ? When I plug an Ethernet1 Xplained Pro into a SAM D21 Xplained Pro, AS only sees the SAM D21, not the Ethernet1. It still functions though. Hmm - that's a bug, then! Does it (still) correctly detect & identify other Xplained Pro extension boards ? Have you accidentally enabled saxophone mode ... ? I have the same thing. When I plug an Ethernet1 Xplained Pro into a XMEGA A1U Xplained Pro, AS only sees the SAM D21, not the Ethernet1. You can turn an XMEGA into a SAM D21!! When I plug an Ethernet1 Xplained Pro into a SAM D21 Xplained Pro, AS only sees the SAM D21, not the Ethernet1. Issue might be due to missing Ethernet1 Xpro in board database. This does not affect extension's functionality and can be ignored until it is updated by our team.